This modern take on the classic Ottoman ring comes in Sterling silver decorated with the calligraphy inscription that reads “Understanding”. Part of an exquisite and culturally significant range of jewellery for men from Azza Fahmy. 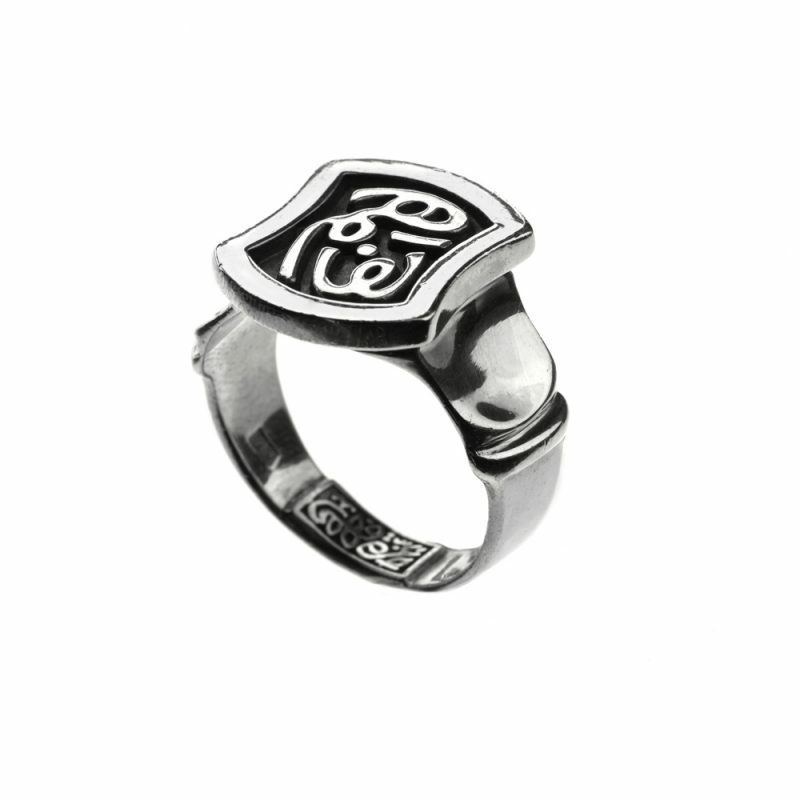 This stunningly masculine collection features Azza Fahmy’s signature calligraphy inscription.